Stockholm - 16th Dec, 2016 - At Degauss Labs global headquarters in Stockholm, Sweden, the company today announced a new Bluetooth in-ear headphone named VICE which enables a full 8-hour workday of wireless sound. Powered by VARTA batteries, Degauss believes them to extend playtime with up to 30% compared to many of the current competitive products on market while staying true to Degauss high quality signature sound. 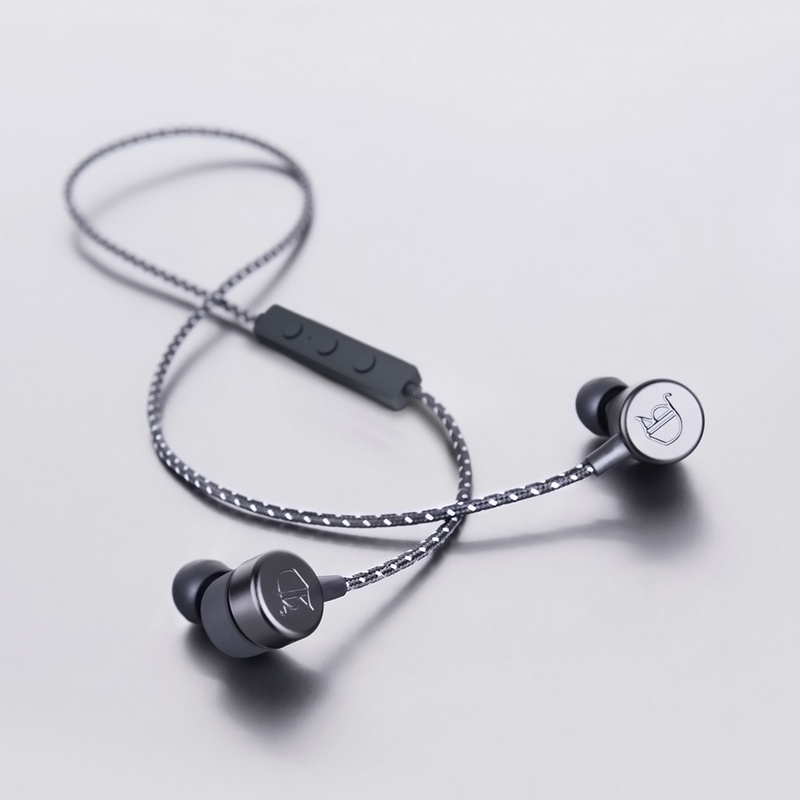 The battery technology itself makes way for a smaller housing creating sizes of Bluetooth earphones not far away from what users have got used to with standard wired earphones, but this time around also containing 120mAh of rechargeable Li-ion battery capacity. VICE is the first Bluetooth Earphone from Degauss Labs and probably the first Earphone to use the 60mAh high performance coin battery from VARTA (2x60mAh is used creating 120mAh), thus making this a bluetooth Earphone in the right direction creating improved playtime but keeping its small form factor. Unlike the Apple® Airpods Degauss Labs have a built in 3-button microphone making it possible to control functions like play/stop, next track and vol up/down without activating Siri. VICE Uses the CSR aptX® a codec that has revolutionized the Bluetooth® Stereo listening experience by significantly reducing the bit rate without affecting audio quality or introducing latency issues. Degauss Labs representatives say that VICE should reach the U.S and Europe in very limited numbers in December and larger numbers by beginning of 2017. As for pricing the VICE Earphones made for Android, iPhone® and Windows® Smartphones will be going for $99 (or 99€) including Free shipping in the US/ CAN and the European Union. In order to have the best possible online shopping experience, Degauss Labs believe you need to have a World Class return policy. If you are not happy with your purchase for whatever reason, don´t worry, just return the earphones to them in 14-days and get your money back – No questions asked.